You are here: Home > Pinned by Daughters of the American Revolution! Every year we select someone who has done outstanding work in their community and I am happy to report that you were chosen this year. 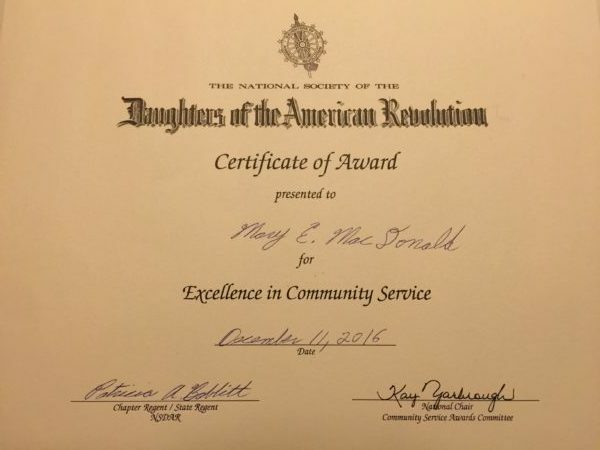 We would like to recognize you and present you with the Community Service Award Certificate at our next meeting. It will be Sunday, December 11th @2pm at the John Greenlief Whittier Home in Haverhill. Please let me know if you and a guest are able to attend. 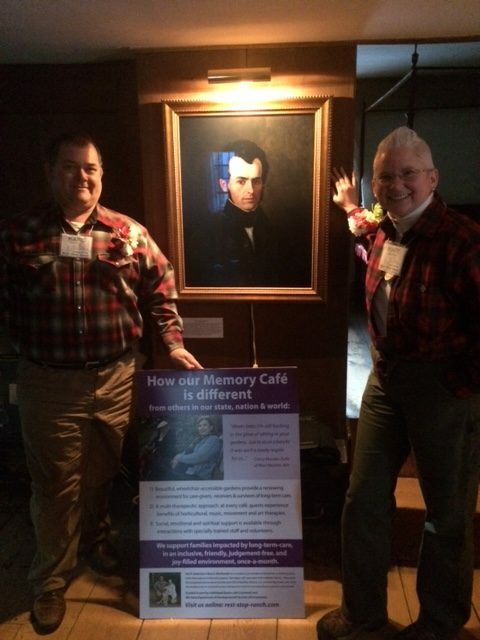 Karl R. Ackerman, my beloved spouse, and I did attend this afternoon, and very much enjoyed meeting the local chapter members. It brought tears to my eyes to be recognized by our local community members who have seen our garden grow over these seven years, 2009-2016. 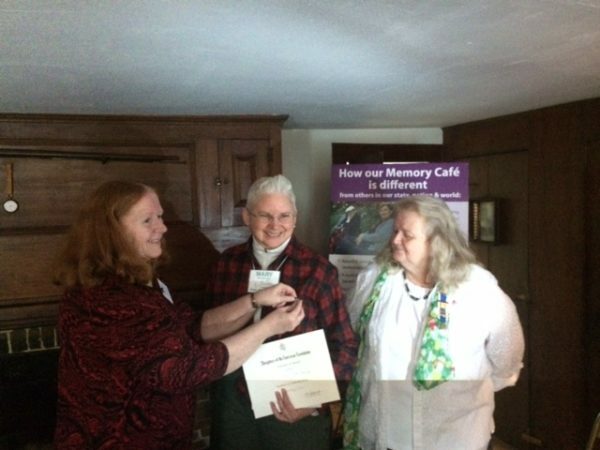 Thank you for the community service award you’ve given me here today at the John Greenleaf Whittier Birthplace, in Haverhill, MA. Thank you for recognizing the community services, we, as a team, have built and continue to build for families impacted by long-term-care, since 2010. People who choose to revolt, sacrifice and risk everything. Righteous anger dispels fear. As Daughters of the American Revolution, you are familiar with sacrifice, risk, and the role anger has played towards creating greater freedom and equality for all. Since founding MaryMac Missions LLC in 2010, I have chosen to leave a corporate paycheck and benefits on the table. My spouse Karl and I literally picked up our garden tools and began taking action in 2009, when we cleared the front yard, built garden beds, and in 2011, created the wheelchair-accessible MargFMac Front Garden Loop (0.1 mile). may schedule an hour or two with me, anytime year-round, free-of-charge.